One of America's best known poets, Henry Wadsworth Longfellow (1807-1882), contributed to the wealth of carols sung each Christmas season when on December 25, 1864, he wrote a seven-stanza poem titled "Christmas Bells." The poem gave birth to the carol, "I Heard the Bells on Christmas Day," with two stanzas directly referencing the horror of the Civil War omitted and the remaining five slightly rearranged in 1872 by John Baptiste Calkin (1827-1905), who also provided the memorable tune. When Longfellow penned the words to his poem, America was still months away from Lee's surrender to Grant at Appomattox Court House on April 9, 1865; his poem reflected the prior years of the war's despair, while ending with a confident hope of triumphant peace. As with any composition that touches the heart of the hearer, “Christmas Bells” flowed from the experience of Longfellow--involving the tragic death of his wife Fanny and the crippling injury of his son Charles from war wounds. Henry married Frances Appleton on July 13, 1843, and they settled down in the historic Craigie House overlooking the Charles River in Cambridge, Massachusetts. 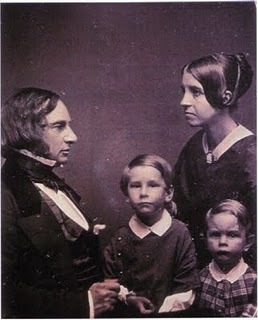 They were blessed with the birth of their first child, Charles, on June 9, 1844, and eventually the Longfellow household numbered five children--Charles, Ernest, Alice, Edith, and Allegra. Alice, the Longfellows' third child and first daughter, was delivered, while her mother was under the anesthetic influence of ether--the first in North America. The first Christmas after Fanny's death, Longfellow wrote, "How inexpressibly sad are all holidays." A year after the incident, he wrote, "I can make no record of these days. Better leave them wrapped in silence. Perhaps someday God will give me peace." Longfellow's journal entry for December 25th 1862 reads: "A merry Christmas' say the children, but that is no more for me." The war continued to cast a grim pallor upon families in the North and the South in 1863. Charles Appleton Longfellow was now 17 and eager to make his mark by joining the military. His father disapproved, but Charles ran away from home and petitioned Captain W.H. McCartney, commanding Battery A of the 1st Massachusetts Artillery to enlist. Captain McCartney, familiar with Charles and his family, wrote to get his permission. By this time, perhaps knowing Charles wouldn't give in, Henry reluctantly agreed. Charles turned out to be quite adept as a soldier, and a skilled leader. In fact, when Henry thought he might help his son by seeking the aid of some famous friends, including a U.S. Senator, to secure a commission, he was pleased to learn Charles had earned his commission and advancement on his own merits. Now a Second Lieutenant, Charles saw action at Chancellorsville, Culpepper and several other skirmishes. In November, during the New Hope Church campaign in Virginia, Charles was shot in the left shoulder. The bullet nicked his spine and exited his right shoulder, barely missing paralyzing him. Treated with other wounded at the New Hope Church, Charles eventually was sent back to Washington D.C.
Charles was unable to recover sufficiently to rejoin his unit, but did survive his wounds. 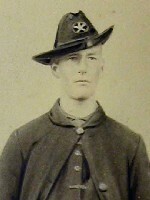 He was discharged from the Union Army in 1864. 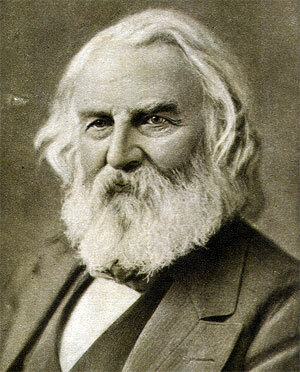 Longfellow's poem not only expresses his previous despair, but also bears witness to his newfound hope. The bells that often rang out during the holidays had for two years did nothing but remind him of loss, and dispirited him. And, as he wrote in several stanzas, the War also paralleled his feelings of despair--that the bells did nothing but mock those who had perished, that there was no chance for that old homily of Peace on Earth Good Will to Men. And yet, in his son's survival Longfellow was able to find hope, renewing his faith in God despite the war, the destruction and the loss. To mankind the bells promised hope that one day "The Wrong shall fail/The Right prevail/ With peace on earth, good-will to men!" In spite of the mentions of bells and Christmas in the title, "I Heard the Bells On Christmas Day" is as much an antiwar song as it is a pro-Christmas song. It was not until some time after 1872 that the 1863 poem was converted into a carol. Some unknown person in some unknown year recognized the potential of Longfellow's stirring and optimistic interpretation of the bells of Christmas as a magnificent mate for an 1872 processional that was strongly reminiscent of the ringing of bells. The English composer of the appropriate tune, John Baptiste Calkin (1827-1905), an organist, was the most famous of a family of accomplished English musicians. At first Calkin's melody was published with the 1848 American hymn, "Fling Out the Banner! Let It Float" by George Washington Doane (1799-1859). Ironically, "Fling Out" was an old-fashioned militant missionary hymn, a severe contrast, in both purpose and spirit, to the more permanent partner of Calkin's music, "I Heard the Bells." Although Calkin's melody is a beautiful, gentle, lofty rendition of the sounds of Christmas bells and is quite well received during the holidays, at least three alternative tunes have been composed. These include the moderately popular wafting melody by Johnny Marks (1909-1985), who is most noted for "Rudolph the Red-Nosed Reindeer," plus tunes by John Bishop (ca. 1665-1737) and Alfred Herbert Brewer (1865-1928). Calkin's melody, however, remains the predominant version sung today. As a pair, the resonant tones of Calkin's pensive music and the minor but excellent poem by Longfellow comprise a satisfying carol. On top of its fine artistry, it offers an undeniable moral whose essence resides in the two phrases at the end of each stanza. "Peace on earth, good-will to men" so appropriately covers both halves of the partly Christmas and partly pacifist carol. No matter how long this particular song endures, may its two laudable themes harmoniously blend together in an everlasting symbiosis for the benefit of humanity. Sources: What Saith the Scripture? ; The Shelf, by J.C. Loophole; William Studwell, The Christmas Carol Reader.